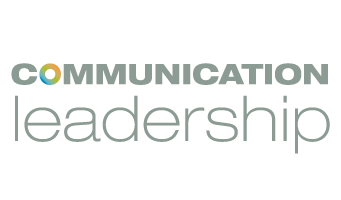 That message resounded in every panel of the “Comics & Digital Culture Series”—a novel programming partnership between Communication Leadership and the Emerald City ComiCon. The inaugural event brought innovators from all corners of the comics industry to discuss their experience on the digital frontier in a sequence of four panels, complete with TED-talk like speeches and robust Q&A sessions. 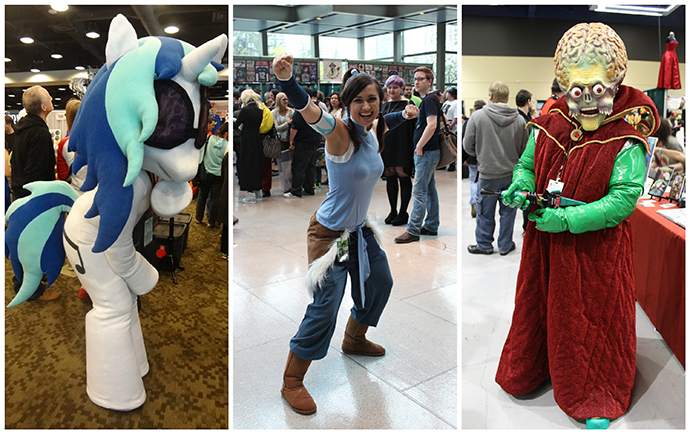 Characters from “My Little Pony,” “Legend of Korra” and ”Mars Attacks!” wander the packed halls of Washington State Convention Center during ECCC. The UW certified series offered an educational flavor and plenty of advice to the sea of costumed fans at Northwest’s biggest comics convention. And whether the speaker was a big publisher or an up-and-coming artist, the lesson was the same—it’s time to embrace the tools of the digital age as allies, not foes. Though the common refrain is that digital availability hurts physical sales of comics and novels, Adams’ panel—The Big Story: Comics and the Expanding Media Universe—proved otherwise. He explained how the sales of America’s fourth largest comic distributor—the label behind Transformers, Star Trek and My Little Pony—were only strengthened by the addition of digital properties. E-books and online content capture audiences that physical products can’t reach, insuring that a digital release is a global release. Consequently, 40 percent of IDW’s readership for certain properties hails from abroad. Shaping content into digital offerings also allows for a more diversified product rollout. IDW’s next big hit is slated to be V Wars, a fantasy series wherein a virus mutates victims into vampires. The story will be embodied in multiple forms: prose anthology, comic book (both offered on paper and online), board game and a streaming TV show. Working in tandem, the digital and physical incarnations will allow for all sorts of audience engagement. “One doesn’t come at the expense of the other,” Adams concluded. But digital distribution isn’t only a boon to large publishers. Allison Baker of Monkeybrain Comics took the stage next to share how online comic sales can be the key launching pad for independent creators in her Springboard to Oblivion? The Promise and Peril of Digital Comics for Independent Creators panel. Baker, a film and political media producer, and bestselling author Chris Roberson created the Monkeybrain Comics label as a passion project, a way to house their favorite, independent content creators under one digital roof—folks with great stories, but little industry representation. Serialization and a low price point (just 99 cents per issue) allowed Monkeybrain to hit the online marketplace sweet spot. Their titles—the award-winning Bandette and Masks and Mobsters among them—sell well, proving that the absence of a DC or Marvel logo can’t stop a good story. “Technology, internet and digital distribution have made comics more of a meritocracy,” Baker said. Monkeybrain’s most innovative policy is putting the creator first. Unlike other brands, Baker’s label signs its artists with non-exclusive contracts—allowing for partnerships with other publishers. As the farm team, Monkeybrain gives titles the opportunity to build their audience over time, without demanding strong sale numbers out of the gate. Afterward, creators can transition to bigger distributors without any legal hang-ups. The formula has worked wonders for some of Monkeybrain’s authors, launching them to partnerships with Darkhorse and Hollywood pitches. Baker cautioned that behind every web-first success story is a creator driven to deliver. In short, an online presence is a must for any aspiring storytellers, comic or otherwise. But the digital sphere can do more than impact a story’s reach—it can completely revolutionize its substance. Enter Colin Goh and Yen Yen Woo, authors of the Dim Sum Warriors comic book and educational iPad app. Their panel, Dim Sum Warriors: The Tasty Manga App That’s Changing the Way Kids Learn Languages, chronicled the digital evolution of the couple’s brainchild. A lawyer and professor by trade, the duo tried their hands at comic books after the premature birth of their daughter, Kai Yen. The plight of Kung Fu fighting dumplings was an apt tribute to her battle for health. It was also an opportunity to provide her and other children with a culturally rich, educational story. “We saw it as a chance to address the horrible way that American comics portray Asian characters,” Goh explained. To do so, Goh and Woo crafted characters full of nuance, crediting their adolescent readers with the ability to understand complex narratives that’s so often denied them. In 2010, the story’s underpinnings were set, but though elaborate and entertaining, the life of the comic was essentially confined to a pdf. Then, Apple unveiled the first ever iPad and the couple saw an opportunity worth seizing. With the help of a developer, Goh and Woo transformed Dim Sum Warriors into a bilingual reading app, where the flick of a finger can switch the characters’ interactions from English to Mandarin Chinese or initiate an audio recording of both. The app cultivates amazing levels of engagement from its users, with toddlers meticulously exploring the contents of every speech bubble. “It’s a journey of discovery,” said Woo. 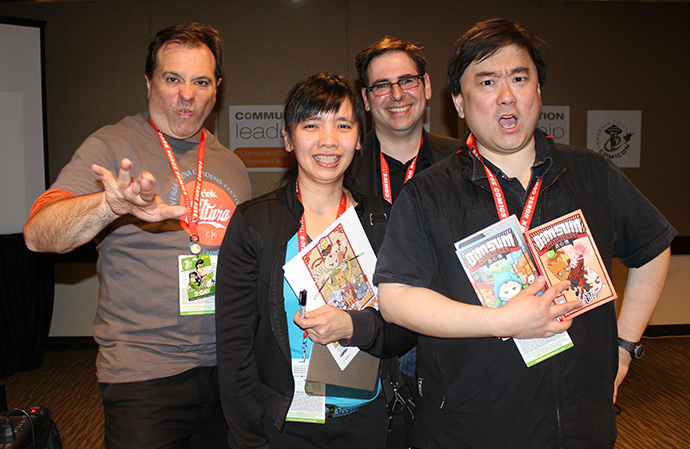 From left: Scott Macklin, Yen Yen Woo, Rob Salkowitz and Colin Goh goof around for a photo after the Dim Sum Warriors panel. In a world where children learn to use a touchscreen before learning to speak, Goh and Woo are paving the way for the wholesome, educational power of digital. And while the app is receiving all sorts of glowing reviews, the “Etsy of digital comics” isn’t stopping there. Their Yumcha publishing label is branching out in unexpected ways—from a Dim Sum Warriors musical to a yoga studio. “The wonders of creating is that you never know where it will lead you,” Goh joked. Where Goh and Woo use the tools of the digital age to enhance an existing story, the day’s fourth and final panelist creates them. In his Anything that Moves: Motion Books and the Evolution of Storytelling panel, Liam Sharp showcased the Madefire app, an animation medium for motion books. A fervent believer in the power of story, Sharp has been writing and illustrating them for decades, working on everything from Judge Dredd to Superman. In 2011, he began a storytelling revolution. With a crew of like-minded artists and builders, he founded the Madefire technology company and set out to redefine how stories are made, read and shared. Their animation technology allows creators to add motion, pacing and sound to images and text, turning the traditional, linear, left-to-right presentation of comics on its head. “We had to unlearn everything to start learning again,” Sharp recalled, as each new Madefire function transformed the flat comic book panels of yore into mobile, immersive worlds. His next move? Introducing the Madefire app to DeviantArt and watching the creative wellspring push the tool to its utmost possibilities. Digital’s breakneck innovation may intimidate some, but Sharp assured that the most important aspect of production will always remain constant. 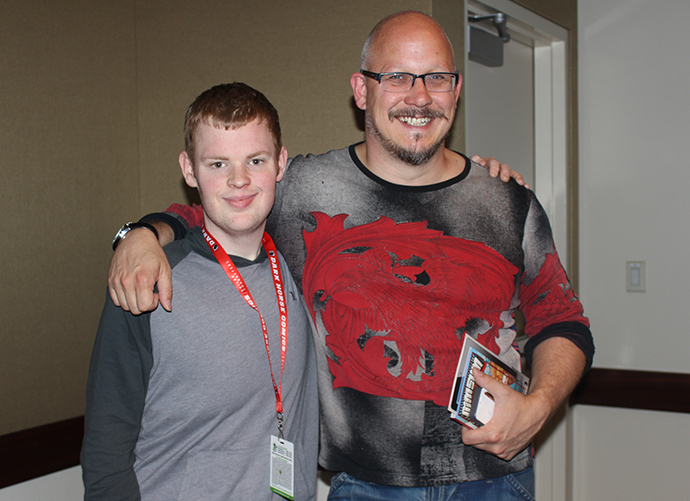 Madefire’s Liam Sharp poses with an attendee after the day’s last panel. Sharp’s panel concluded this year’s installation of the “Comics and Digital Culture Series,” but left audience members Jimmie Young and Sean Watson yearning for more. For the artists, conventions are most valuable when they’re populated by events like these. Since the two are venturing into creating motion comics, the Madefire demonstration was a perfect fit. 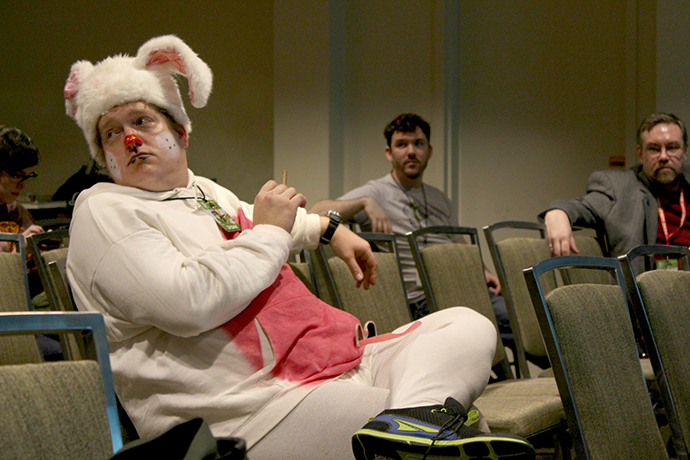 For more photos of ECCC’s panels and attendees, check out the slideshow below!